Perception is a strange and fleeting thing, often defined by a single event, but consequently reassessed with time, truth and necessity. Take the picturesque neighbourhood of Taman Sri Ukay in Selangor’s Gombak district for example, where rolling green hills and natural surroundings once defined it as among the most prime residential havens on the periphery of Kuala Lumpur city. From the 1970s to the early 1990s, the lure of hillside living in this strategic, yet verdant, locale attracted a steady stream upmarket locals and expatriates seeking an elevated lifestyle in a prestigious setting. Then tragedy struck, due in large part to the negligent and overzealous nature of man, rather than natural geographical factors that ultimately suffered the blame. Nonetheless, a shadow of doubt was cast over the once shining neighbourhood, even as the truth emerged about improper construction practices, negligent tampering of natural topography and poor maintenance of hillslopes. Negative perception had dug its nails in and, for a time, things changed. The neighbourhood is picture perfect, with green surroundings and a strategic location. What didn’t change, however, were the factors that defined its attractiveness in the first place: a picturesque setting, green surroundings and a strategic location. In fact, as time passed and the urban sprawl of KL continued to push the boundaries of the city, these factors became more pronounced – and ultimately too valuable to ignore any longer. They say time is the greatest healer of all wounds, but in the case of Taman Sri Ukay, necessity has also proven to be a very effective ointment. Population growth in the city and a rising aspiration to live in healthier surroundings has brought renewed attention to this green lung, conveniently located within the urban hub. Now, almost three decades after the Highland Towers tragedy, important lessons have been learnt, stricter laws govern hillslope development, extensive protective steps have been taken by the local council, and new residential concepts are gradually (and carefully) being reintroduced to the landscape, promising a brighter future. Property360 took a closer look at the factors currently contributing to the rejuvenation of Sri Ukay and surrounding vicinities; to get a better understanding of the perspective of existing residents, the vision of active developers and confidence of engineers who are engaged ensuring the safety of future residents. 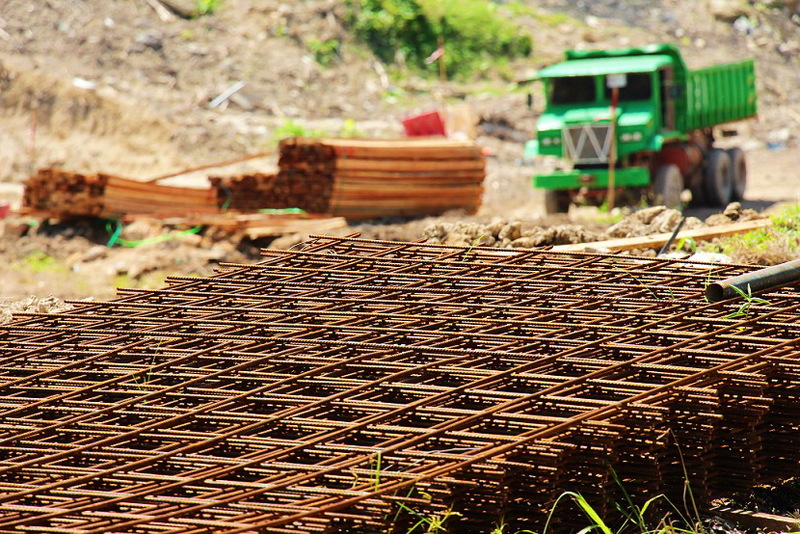 One of the greatest ironies surrounding incidents in Gombak’s hillside district is that while unsafe construction practices were identified as the primary culprit of landslides in the area, it was the local landscape that was ultimately stereotyped as “unsafe” in the public psyche. In truth, the nett result of ill-informed building practices, poor water drainage planning and the absence of consistent monitoring could have caused a tragedy anywhere (and it did), but it is the lesson of Highland Towers that resonates the clearest in our collective memory. However, these were archaic practices of a bygone era of mass, and somewhat unconscionable, building. The development industry has evolved considerably since, moving towards a more enlightened, eco-centric and community-centric path. Development activity is slowly (and carefully) returning to the area. Federal and local governments too have matured, imposing stringent guidelines on hillslope development – with outright bans on certain types – as well as enforcing stricter approval processes that include comprehensive environmental impact assessments and geotechnical reports. In the aftermath of the 1993 tragedy, and subsequent landslips attributed to the same cause, government agencies moved to invest some RM6 million in slope mitigation works on all elevated land surrounding Taman Sri Ukay and surrounding neighbourhoods, to rectify the mistakes of the past and protect the large population still residing there. Today, the existing community seems confident that landslides are a thing of the past and local residents are cautiously tolerant about a revival of developments taking shape in their proximity. While a handful of ongoing projects are now visible from the main Middle Ring Road 2 access, it is also clear that most the construction activity is concentrated at areas of lower elevation and on flatly surfaced land. 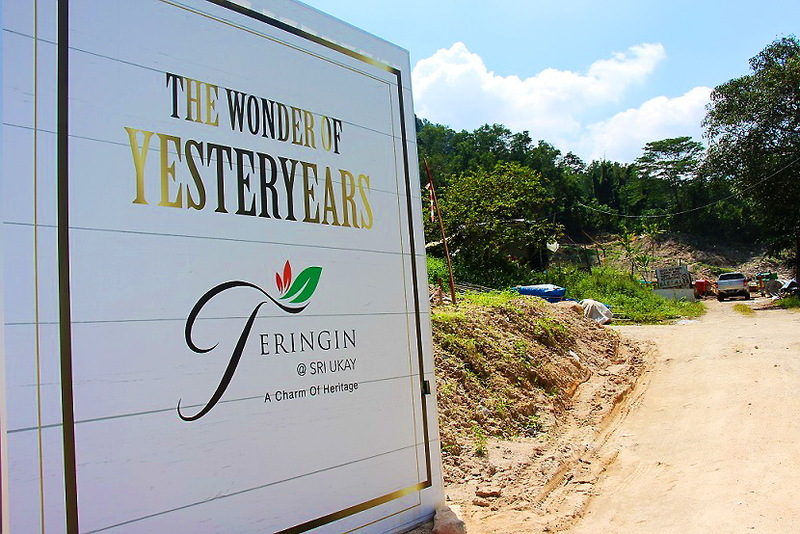 One example that captured our attention was a new upmarket project of semi-dees and bungalows called Teringin @ Sri Ukay, which is being developed beside an existing community of high-end homes at the foot of a towering hill. Interestingly, the occupant of a home located directly adjacent to the project is also the president of the community’s residents’ association, Dato’ Siti Hendon Chik. “It is time, you know,” she said, when asked why local residents are being receptive about new developments in the neighbourhood. “The area needs rejuvenation. It’s been static for too long and I, for one, welcome the opportunity to inject new life into the area, especially the kind that will help refresh this community’s image and give our neighbourhood a modernised boost,” said Siti. She explained that Taman Sri Ukay, and the neighbouring Taman Hillview, represent a quiet and peaceful community within a very tranquil green setting. Overall, the residential population here comprises a mix of older long-time home owners as well as younger tenants. Inevitably, there are mixed feelings and reservations about upcoming developments, but overall, there is a general consensus that progress is necessary to bring about positive change to the community. RA president Dato’ Siti, welcomes developments that bring positive enhancement. “Don’t get me wrong, it’s not as if we embrace new projects here with open arms and without raising any concerns, but for the most part, developers seem to be addressing these concerns with the right amount of attention, detail and respect towards our community. Understandably, people here are far more receptive to landed developments than high-rise ones,” Siti revealed. Teringin @ Sri Ukay, a project taking shape just yards from her front door, has been a particularly positive experience for Siti. 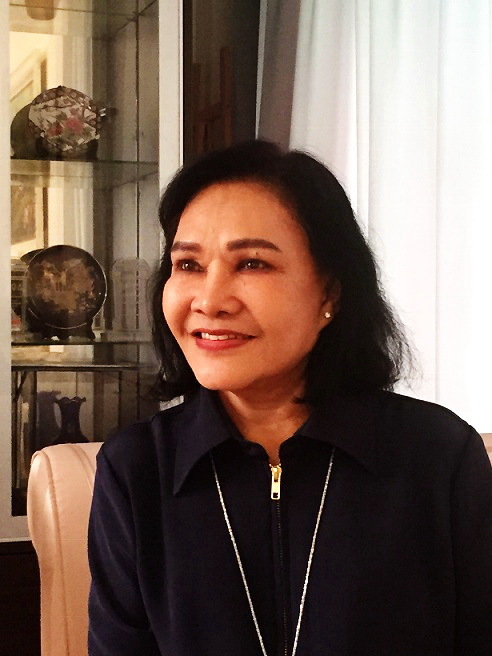 Admitting that that she was one of many who initially raised concerns about the project’s proximity to the hill behind it, as well as the stability of the hill itself, Siti acknowledged that the developer has been extremely proactive about engaging with residents and alleviating their apprehensions. “They went the extra mile to open a channel of communication with us and build a relationship, which is important. In turn, we gave them an opportunity to present their development vision, the various components involved and the steps they were taking to ensure the safety of their endeavour, including the investments they have made into stabilising the hill. “Once we understood that they were flattening the land to build on an even surface, and that there were no plans to build along the slope, the conversation evolved into something constructive. We began to talk about a win-win situation, about community enhancement and about re-establishing a positive profile for this neighbourhood. I thought that was a positive way to go about things,” she said, adding that she is now looking forward to the new addition to her neighbourhood. This piqued our interest further. To dig deeper into the activities being undertaken at Teringin, Property360online contacted the project developer, Spectacular Heights Sdn Bhd, who was refreshingly keen to delve into the details of their project and the various ways they are applying safety measures. Teringin @ Sri Ukay is a low-density development of luxury semi-dees and a single bungalow that is taking shape on 5.3 acres of flattened land that has undergone extensive surcharging work to ensure the stability of the surface. The enclave is positioned at the immediate foot of a lush green hill that provides this collection of future homes with a dramatic natural backdrop. Teringin @ Sri Ukay is a new upmarket project taking shape in the area. Group executive chairman of Spectacular Heights, Dato’ Kamisah Johan explained that the entire project site actually comprises just over 8 acres, with 24 housing units occupying 5 acres and 3 acres retained to preserve natural greenery. “The neighbourhood has so much to offer and the land surrounding it is simply beautiful. We see the premium value of this location and we believe it can only grow in appeal as KL continues to expand its border and green lungs within the city become an even greater rarity,” said Kamisah. As a developer, Kamisah admits that she too had to apply due diligence when initially considering the land for potential development, and this involved an extensive geotechnical study of the entire area with the assessment of several geological specialists, engineers and architects. “During our study, we found that considerable work had already been done by the local council and state government on reinforcing up the stability of inclined surfaces in the area. This included the implementation of proper water drainage management and preserving the natural integrity of surrounding hills,” she said. Dato’ Kamisah says her project aims to preserve the natural landscape for the benefit of residents. Kamisah said that establishing communication with the surrounding residential community was an important part of their process, so that they could explain the stabilising land treatment process that is being utilised at the project, the sound architectural design of their houses, the geogrid retaining wall that is being built to benefit the entire community, and importantly, their intention to maintain the natural beauty of the land. Despite this, we couldn’t help but notice the vast undeveloped surface of the hill towering behind the project site. We wondered if future developments there might eventually pose a risk to Teringin – much like situations of the past. She went on to explain that the lure of greenery provides a huge draw for Teringin, so there no plausible reason why Spectacular Heights would consider tampering with such a remarkable (and marketable) feature. 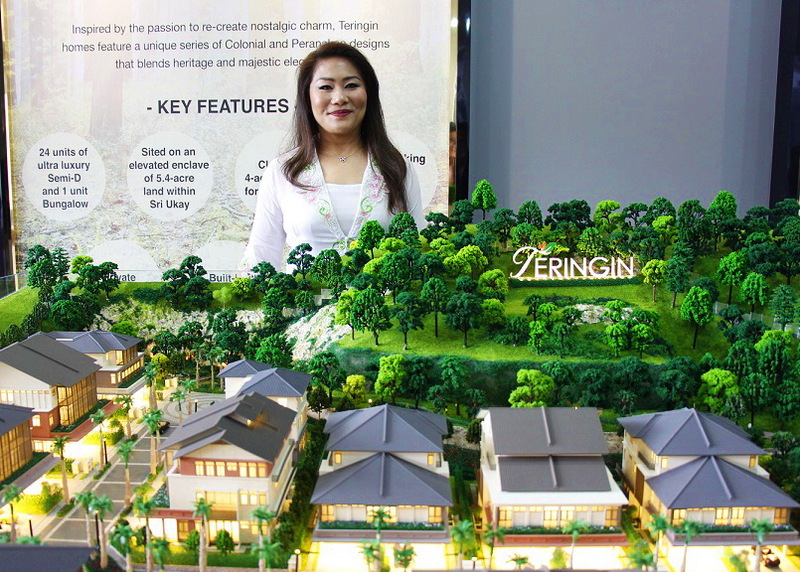 “Other than our ongoing contribution to provide further stabilisation to the hill, we fully intend to leverage on its natural beauty to enhance the lifestyle experience for Teringin’s residents. In fact, there is an existing trail along the hill that we will respectfully, and minimally, enhance to create a nature trail,” she said. That “enhancement” includes additional measures to ensure the safety of future trekkers. To get a better understanding of this, we were introduced to Dr Saravanan Mariappan, a geotechnical engineer and director of Nexus EC Sdn Bhd. Saravanan, who is actively working with the Teringin project, is also familiar with the work the authorities have implemented on surrounding hills through past surveys he has conducted in the area. “On the hill immediately facing the project, the developer has invested a considerable amount to enhance safety measures. The first, is of course, a 6-metre to 8-metre-high geogrid wall as a buffer between the hill and the residential area. Along the surface of the hill, we have also been conducted soil nailing and wire mesh reinforcements at various points. We have also applied rock bolting to ensure large boulders are immovable during torrential rain situations, providing additional safety to anyone on the trail,” he said. 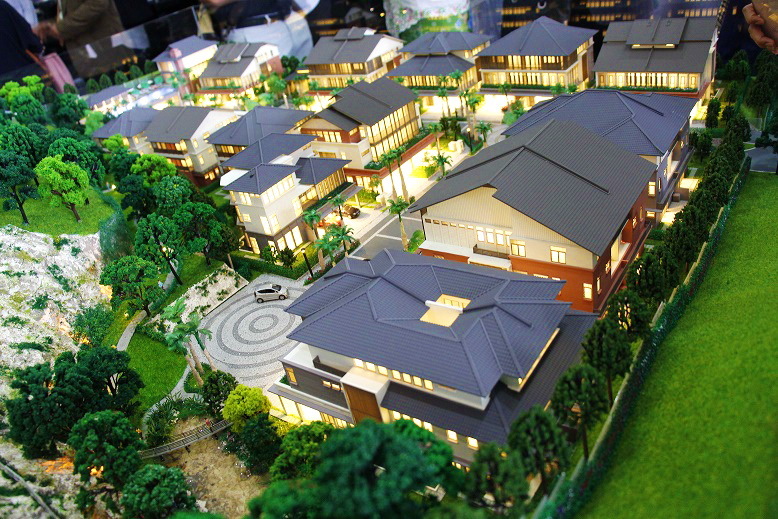 The low density Teringin project will host just 24 semi-dees and one bungalow. Saravanan also said that modern technology allows the developer to permanently monitor of ground water pressure and inclination of soil, and this is in addition to consistent mapping and geotechnical surveys conducted by the local council, which are driven by strict guidelines. Taking a macroscopic perspective on future developments in the area, Saravanan said the situation is vastly different from the past and geotechnical knowledge and expertise in the country has advanced by tremendous leaps and bounds. Firstly, all Class 3 and Class 4 type of hillslope developments (which are developments that take shape on gradients in access of 25%) have been banned. Teringin, sits safely within the Class 1 and Class 2 permissible bracket. Secondly, there is far more transparency, access to information and sharing of information among various construction projects, leading to better coordination and better monitoring by the authorities. This was among the key mistakes of the past that simply does not exist in today’s landscape. “The entire culture has completely changed, and this is perhaps the greatest legacy of the past. In today’s environment, there is a proactive culture of sharing information and cross-examining results of studies and surveys conducted by various private entities and government agencies. This means construction decision are more informed, there are better checks and balances in place and everyone is more accountable for any activity they are involved in,” Saravanan said. “These days, you can run an independent assessment on a neighbouring landscape and force the development next door to provide necessary reinforcement if you can show that their activity is causing damage or risk to your project. And this is enforceable by law,” he added. 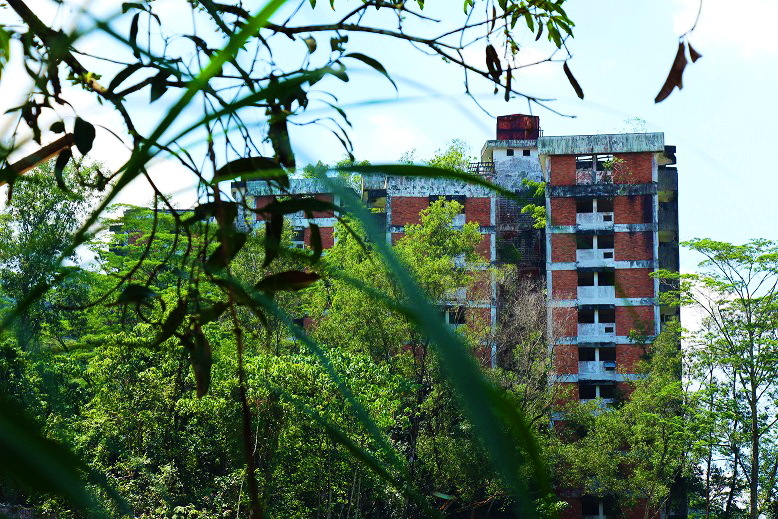 When asked about the overall current safety status of hillslopes in the area, Saravanan made poignant case by pointing out the two remaining blocks of Highland Towers and bringing our attention to the fact that they were still standing solidly after 26 years. In the distance, we could see that this was indeed the case. This, however, reminded us of an ongoing “sticky” point among residents in the area. Never forgotten… but it is time to move beyond the past, say residents. “It is sad what happened. Nobody knows that better than the people who live here. But it is time to move on. Fortunately, renewed development activity in this area has put a stop to the drunken teens and drug addicts it once attracted, which was very disrespectful to the memory of the site. So, I don’t understand the purpose leaving it there in such a state,” said R.A. president Dato’ Siti Hendon Chik. “On many occasions, we have been promised that it will be finally demolished, and the new minister of housing has recently reaffirmed this, but it is really high time to make good on that promise. This community deserves to finally move beyond the past,” she added. Siti’s point is a powerful one. Indeed, as a nation, we should never forget the lesson of Highland Towers… but perhaps a more fitting tribute to its legacy is to acknowledge that it forever changed our development landscape, forcing us be better, smarter, more accountable and more conscionable about the way we build. Maybe it is past time we allow those lessons to bring a brighter and more prosperous future to the neighbourhood it once called home, by allowing the community here to finally step away from its shadow.